Reviews are published on our sister-site, www.bookmuse.co.uk. 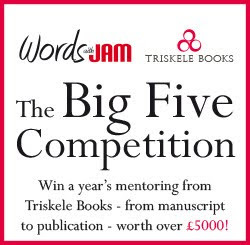 Please email a blurb and details to submissions@wordswithjam.co.uk stating what formats are available for review. 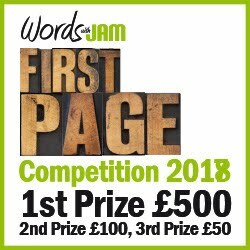 If you would like to submit a review for consideration, email as an MS Word attachment to editor@wordswithjam.co.uk following the format laid on for reviews on www.bookmuse.co.uk. Please include your name, email address, book title, author. We do not pay for reviews. PLEASE NOTE THAT WE ARE NOT CURRENTLY ACCEPTING SUBMISSIONS. We feature one or two short stories and poems in each issue. Due to the magazine being free, and our advertising income modest, we offer a token payment of £10 per short story and £4 per poem on previously unpublished works. We do not offer payment on previously published work. Please state on your submission if it has been previously published, when and where. Due to the number of submissions we receive (and because it's rather messy and confusing) can you please include on the actual Word document, at the top, your full name and email address. We don't mind what font you use, or colour, or size, or alignment, so long as you don't take the piss - white is very difficult to read. This is so we can contact you back and you don't think we're ignorant when your email gets buried and all we have a file and we've no idea who it's off. We are always on the lookout for new and interesting articles. Due to the magazine being free, we are unable to offer payment. We are however more than happy to consider previously published material, and include a short bio and links back to your own site. That said, please don't send us articles about how wonderful you are or how brilliant a site/service you can provide for the writing community (see 'advertising' for that). Generally useful and/or funny is what we go for.